Model Centers are operated by authorized independent builders who sell and complete the construction process of homes by Rochester. THEY? are at the Model Centers where customers can tour model homes and experience furnished homes, as well as speak to building professionals onsite who can answer questions about standard features, options, purchase price and construction options. Sales Centers also are operated by authorized independent builders who sell and complete the construction process of homes by Rochester. At Sales Centers, representatives can direct customers to homes that have been completed in the area. At the sales office, customers can see samples of the products, pick up brochures, as well be learn about standard features, options, purchase price and construction options. Rochester Homes knows the Mountain state like no other modular homebuilder. Since 1972, our family-owned company has been building homes in nearby Indiana and transporting them to Iowa, as well as other states in the Midwest, including Michigan, Ohio, Illinois, Wisconsin and Missouri. Rochester Homes has numerous floor plans: ranch, two-story and Cape Cod , in styles such as Colonial, traditional and contemporary. Our homes can range anywhere from 1,000 to 5,000 square feet. Our dedication to craftsmanship, expertise and experience is hard to match as is our commitment to the next generation in homebuilding. 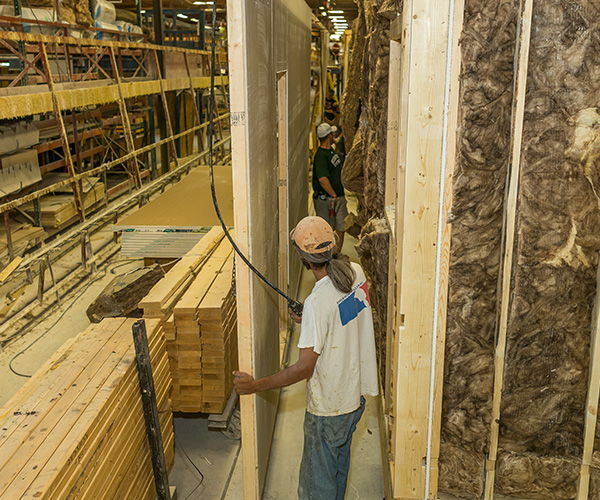 Come tour our climate-controlled home building facility in Rochester, Indiana and see how a Rochester home is built. Using state-of-the-art building techniques, homes are painstakingly inspected and engineered for quality. The process is eye–opening, and if you are considering building a new home, we recommend you come and see for yourself. You’ll find that it will be well worth the drive and time. While there, take a tour of one of our richly appointed models. Experience the numerous colors and finish options available, as well as visualize Rochester’s outstanding craftsmanship.